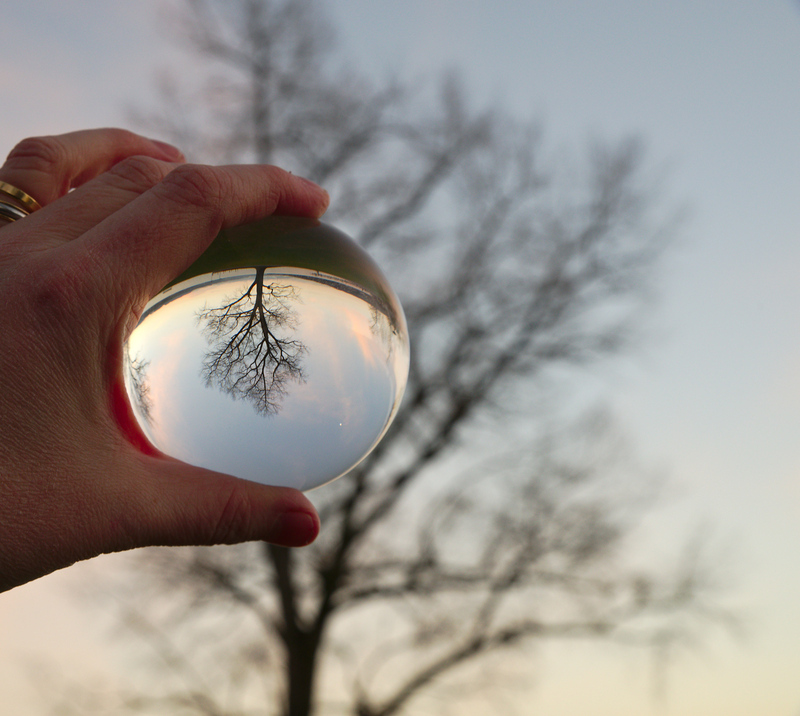 For Christmas, I got a crystal ball to use for photography. 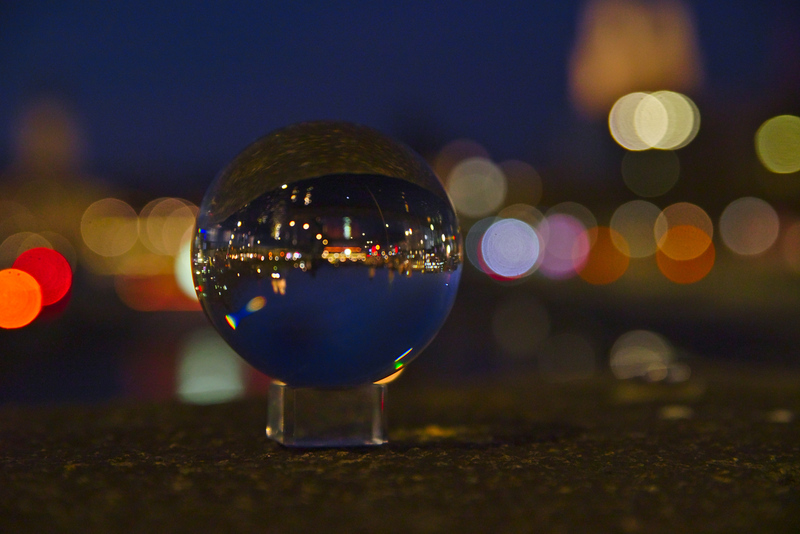 On Tuesday, the weather was nice, so I went in the city to experiment a bit with it. 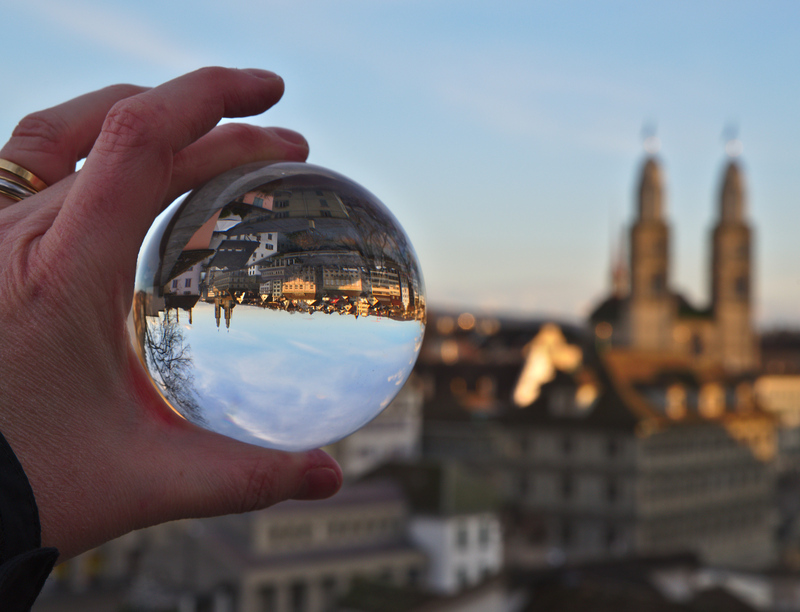 First, I went to Lindenhof to get a re-take on my favorite view of the city. 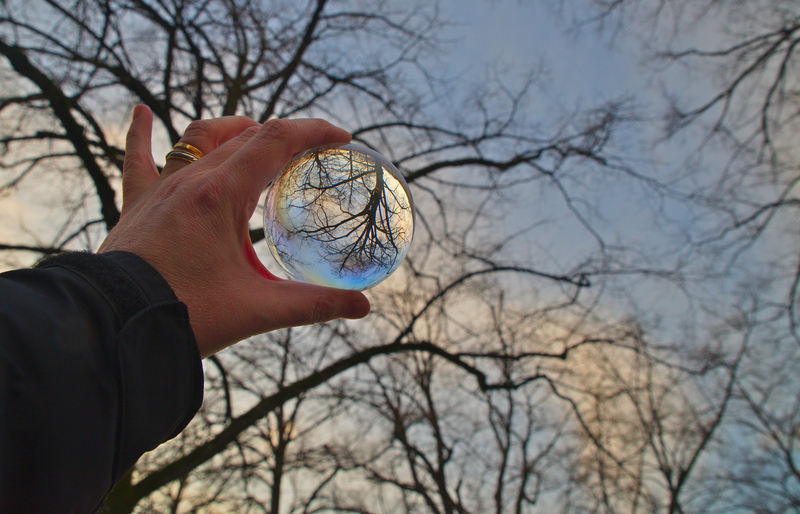 Then I accidentally left my polarizing filter on – but that’s actually pretty cool, look, I’m holding a soap bubble! 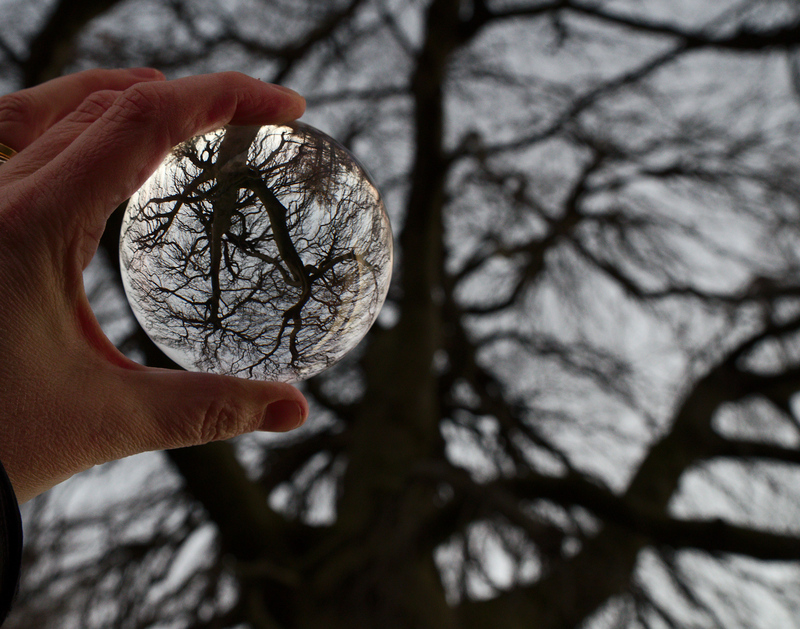 And actually, photographing trees through that ball is pretty fun. But hey – I do have a favorite tree in Zürich! What if I visited it? A short tram ride later, here I am – Zürichhorn! After a few more shots in the vicinity, I found another cool tree when walking back along the lake. I took a few more pictures that day (including a heron silhouette!) 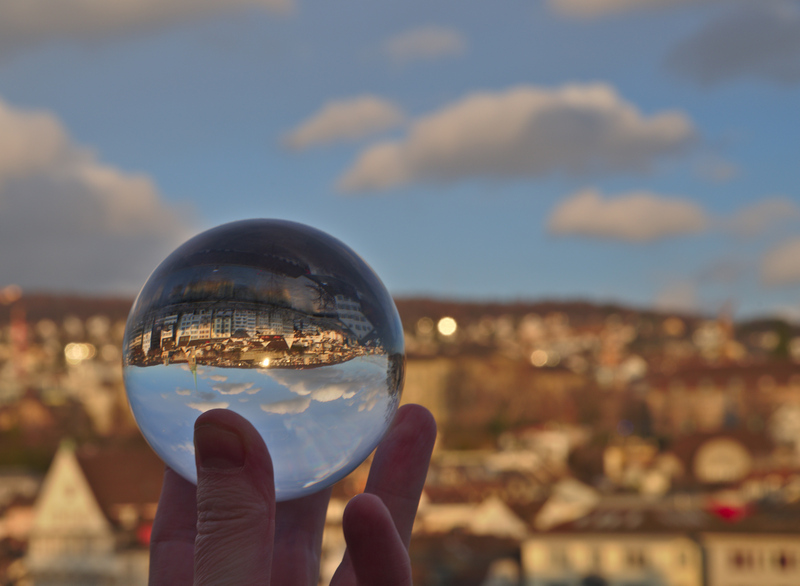 – they are here: A small walk in Zürich with a crystal ball.